Brian Buckingham is one of the most down-to-earth, straightforward, trustworthy and charming people you are ever likely to meet. And in an industry where the deals and negotiations can get complicated and the pressures can sometimes take their toll, he will remain resolute, unflappable and totally in control every step of the way. Nothing is a problem to Brian. Nothing. Simply tell him what you expect to achieve and he in turn, will tell you whether or not your expectations can realistically be met. Adopting a totally honest, direct and forthright approach is the only way he knows how to work, and it certainly works for him. It's simply the way he lives both his personal and professional lives. He believes his job is all about open communication, knowledge and experience. And that's what matters most when you're looking for a proven straight-shooter who you can trust to target results for you. Being totally 'up-front' with his clients has definitely paid off too in terms of his success. Often Brian will be the marketing consultant with the top monthly sales figures, but it's hardly surprising that he is always there at the forefront, because he's always there for his clients too. Brian's results speak for themselves. Brian has over $125,000,000 of sales. Work with a true professional and achieve your results today. Client Focused, High Achiever History often provides us with insights to the future and with Emma Luxton we have a woman who epitomises integrity, energy and hard work in her previous roles. A self-starter and successful business person, Emma has a proven history of success in supplying the hospitality industry across the nation. She relished the pressure of competition and in building meaningful relationships with her clients. 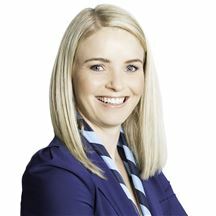 As a welcome part of the Harcourts Holmwood team we enjoy her positive and energetic approach to our industry. As a mother, a business woman and a realtor, Emma typifies those real estate consultants who have a deep understanding of needs of homeowners. Moreover, she is aware of the crucial importance of great communication and that rather old fashioned value – hard work. ‘Success’ has always been part of Emma’s mantra and clients that choose her will also appreciate her commitment to that goal. Four words you can count on with Emma are integrity, commitment, passion and fun! Total commitment Grant’s expertise and achievements have gained him the reputation as one of New Zealand’s top realtors. 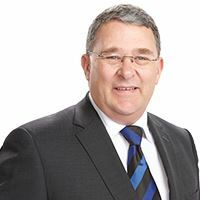 He has consistently exceeded vendor expectations during his career in Real Estate and continues to set new records for highest prices negotiated for properties sold in Christchurch. With over 18 years’ experience and over $275 million in settled sales, Grant is consistently in the ‘Top 10’ rankings in Christchurch and his longevity in the business and outstanding results speak for themselves. Grant values the relationships he has with clients and can relate to buyers and sellers at all levels. He has enormous respect for the fact he is dealing with peoples’ most valuable asset and will always take on the challenge of going the extra distance through the service he gives and the effort he puts in. Grant firmly believes in offering a ‘boutique’ service for his clients; his guarantee to clients and customers alike is that they will always be dealing with Grant personally, not a team of people behind him. This philosophy allows him to offer an assurance that only the most professional and highest level of service will be provided. A comprehensive knowledge of the property market and a straight forward approach when advising clients ensures a clear understanding of what is happening throughout the buying and selling process. There are no ‘communication gaps’ with Grant. He is pro-active and will advise clients on all aspects of the transaction to assist them with their decision making process. His strong negotiation skills achieve highly successful outcomes for clients. This results in a high level of repeat business and referrals; the strongest recommendation possible. "Consistently ranked in the Top 10 of Harcourts Consultants in Christchurch"
Janine’s high energy, client-focused attitude to real estate signals her commitment to the industry and she is at ease with a broad range of clients from first-home buyers to investors. A strong work ethic and a determination to deliver ‘extra-mile’ service underpin Janine’s business approach and she works with empathy, integrity and professionalism all backed up by the Harcourts advantage. It was clear in the early days of Janine’s career her hard work & commitment was going to meet with success and accolades. Within the first 6 months of Janine starting with Harcourts she received one of the highest awards being the Platinum Award and earned a place in the top 25 Agents in Canterbury. Within the next 12 months, Janine was the receiver of a Ruby pin, presenting $10 million dollars in settled sales. A great achievement for such a short time in the real estate business. Following this, Janine has been the receiver of many more achievement awards. Janine has a genuine passion for the real estate industry and for helping people achieve their dreams and property goals. 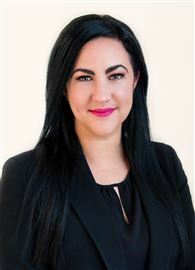 With the support of the Harcourts Holmwood team you may be assured that Janine brings a service that is invaluable in achieving successful results for you. With a reputation for being friendly, upfront and effective, Kyle has built his business on trust and superior results. Kyle's valued clients expect excellent communication and first-rate negotiation and he comes highly recommended. 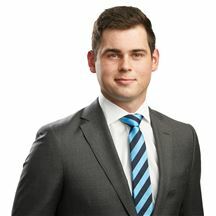 Available 24/7, Kyle has a wealth of experience assisting overseas clients. Kyle works hard to make the process stress-free and enjoyable for both sellers and buyers, and was recently named No.1 Buyer's Agent across the Holmwood franchise. 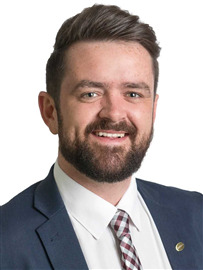 To give your home or investment the edge in today's market, contact Kyle on 027 438 7653. Working as one half of ‘Team Sutton’ Laurel, (known to all as "Laurie") has been Martin's partner and wife for almost 30 years in a variety of business and life ventures. While Martin tends to be the "face" of the business, Laurie, also a licensed real estate consultant, is the detail oriented person who makes sure that everything runs efficiently. Laurie is an accomplished business person in her own right. Leaving a position as Retail Sales Manager for five busy retail stores, she started a new venture, building websites and developing multi-media CD-ROM programs; her company was winning awards within a year! Holding a degree in Biology, Laurie, like Martin, is a scuba instructor, accomplished chef and skilled barista, but it is in Real Estate that Laurie believes she has found her calling. Laurie organises the office and keeps Martin on schedule and on point. Her meticulous attention to detail ensures that nothing goes amiss and nothing gets forgotten. Working within the Holmwood team in Ilam, and backed by the massive resources and support of the Harcourts organisation, they work with their clients as a team to ensure that the sale of each home is handled with dedication and professionalism. To be successful in Real Estate, you must have a sound understanding of what makes people ‘tick’ in order to meet their needs. For almost 20 years, Limo Song has proved she is able to listen, adapt, communicate and negotiate in order to help her clients achieve their goals – her longevity in such a competitive business speaks volumes. An enjoyable career in tour guiding led to Limo helping many clients emigrate to New Zealand. Deriving such pleasure in helping them settle happily in the right home led Limo to the obvious conclusion; that Real Estate was the career for her! Having dealt with a variety of customers from all walks of life over the years, Limo has learn how to listen and communicate effectively, remains calm under pressure, has excellent marketing skills and is happy to go above and beyond the call of duty to satisfy even the most demanding of clients. 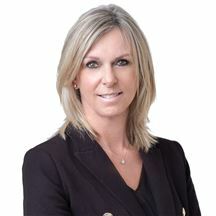 Limo prides herself on maintaining an in depth knowledge of the property market and this allows her to advise her clients effectively on marketing and pricing strategies. Limo manages her listings in a very professional and competent manner, providing accurate and up to date information at every step of the way. She has built a successful career upon the basic foundation of giving her clients all the information they need then allowing them to make their own informed choice. Limo enjoys new challenges both professional and personal and is always willing to try something different. She prides herself on having adapted well to Kiwi life and enjoys tramping, travel and the great outdoors! A friendly outlook and a flexible attitude make Limo easy to get along with. If you want a real estate agent you can trust to get the job done with a personable and friendly manner, call Limo to see how she can help you! As soon as you meet Lucy, you realise that she was destined to work in an industry where people skills and relationship building are paramount. ... Lucy has a bright and bubbly personality and a warm, open and honest manner. These traits, combined with her many years as a Manager in a busy sales environment have allowed Lucy to develop the skills necessary to succeed in the real estate world. From listening carefully to the customer to ensure that she meets their needs, to marketing and negotiation, Lucy is able to undertake all of these essentials with a positive and confident attitude. The decision to begin a career in real estate came about after Lucy had risen to the pinnacle of her career in sales, achieving ‘top salesperson in the country’ status. From here, a determination to challenge herself further and build a lasting career in an exciting industry led her to real estate. With a builder as a husband and a personal interest in property development it was a natural choice. “Hard work, hard work and more hard work” is Lucy’s philosophy. Combining a demanding career along with the demands of a family as well as a voluntary position as a broadcaster for the Canterbury Chinese Voice has kept Lucy very busy over the years, but she has relished the challenge and the opportunity to work for both herself and the community. 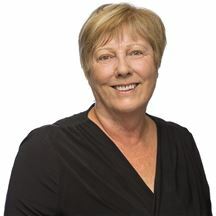 Lucy is happy to guide you through the intricacies of the real estate market in Christchurch, whether buying or selling. 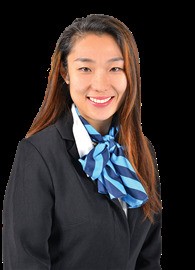 Fluent in Chinese, Cantonese and English and with feet firmly in both the Chinese and Kiwi communities, Lucy has a large network which assists her to match people with properties successfully. For honest and friendly advice or to get your house sold, give Lucy a call today, she would love to hear from you! TEAM SUTTON - The Power of Two! Martin and Laurie Sutton are proven over-achievers, with awards to confirm their efforts and success in the real estate profession. Since beginning in real estate towards the end of 2012, they have proven their commitment, work ethic and negotiating skills by listing and selling enough properties to place them in the top 20% of all Harcourts consultants nationwide (Silver Achievement Award ). They have also received Rising Star Awards (3rd & 2nd) in the past four consecutive quarters, placing them ahead of other consultants with up to 18 months experience in the Canterbury market. However, their real achievements relate to their abilities to provide the highest level of service to their vendors, giving them the opportunity to attract a premium result for the sale of their home. Coming from a highly successful business career in the Scuba Diving Industry, which took them from their base in the Cayman Islands around the world, the couple are used to meeting and connecting well with people from all backgrounds and all walks of life. While each member of this special team brings individual talents and skills, it is their ability to work together as a cohesive unit that gives "Team Sutton" the edge. Their seamless approach ensures that nothing is left to chance as both strive to ensure the best possible outcome for each client. Now both Kiwi citizens, their vast life experience serves them well in the Real Estate profession, and, linked with an unswerving work ethic and desire to do the best possible job, offers the highest results for those they work with. Working To Exceed Expectations..... For Nerina Higgins it's about energy, skill and determination. It's a combination that has resulted in numerous victories in real estate. Her work ethic and level of professionalism means every task, big or small, is approached with due care and diligence. That's everything from returning calls straight away to being available 24/7 during the stressful pre-settlement time. With over 17 years working in real estate her commitment to results remains undiminished. Nerina's ability to make her client's objectives her own is well renowned. The expertise that has successfully sold hundreds of homes throughout Merivale, Fendalton and the greater Christchurch area has resulted in a huge level of repeat business. Her clients know that when the stakes are high, they need the service that goes above and beyond. As a Senior Sales Consultant for Harcourts, Philip has achieved great success for his clients over the years. The 'secret' to his success lies in keeping focus on his clients. At all times, Philip's motto is his clients come first. Repeat business and referrals from past clients has driven Philip's career to result in a meteoric rise - within 4 years of entering real estate, Philip was in the Top 20 of Harcourts New Zealand, and regularly in the Top 10 of Harcourts Canterbury. Philip is - Result driven Passionate about his career Dedicated and committed to achieving fantastic results for his clients Professional and caring It is Philip's genuine desire to help his clients achieve a result they are truly happy with in a caring, professional manner, that has shot Philip quickly to the top ranks of Harcourts most consistent performers. Philip is a discerning businessman with a strong business background spanning over 30 years. Philip's business acumen and genuine desire to deliver exceptional customer service, combined with absolute attention to detail and an intimate understanding of the marketing process, allows him to deliver creative and intelligent marketing plans, while his patient and honest approach has proven him to be a sterling negotiator. Expertise and dedication to get you results. Great product knowledge, friendly and dedicated service, honest advise and most importantly appreciating you as a customer makes Richard the perfect person to help you realise your real estate dreams. Richard has a huge wealth of property knowledge having been an active property developer, rental investor and landlord over a number of years. He now offers this wealth of hands on experience to assist you in your next real estate move. Having completed a degree in Commerce and Management Richard made sure to include several Marketing and property valuation papers to enable him an academic backing in his field. Richard greatly enjoys assisting his clients by sharing his real estate knowledge and experience. In his spare time Richard enjoys getting outdoors and thinks a day spent fishing is hard to beat. Rugby and water sports are also favourite pass times of his. Richard firmly believes property investment is the key to long term wealth and financial security and strives to assist people in the process of creating wealth through property. 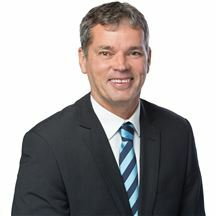 Whether you are a first home buyer or an experienced developer or investor Richard’s passion for property and people combined with his dedication and wealth of property expertise makes him your perfect ally when selling or buying your next property. I look forward to doing business with you. Please call me anytime. If professionalism and character important to you then look no further than Tim Miller. With his enthusiasm, integrity and quickly developing knowledge of the real estate industry, Tim is the salesperson you know will achieve the best results. Tim is able to provide his clients with the attention that comes with insurmountable dedication and passion. His ability to forge relationships has made him a strong role model for many of his peers - able to inspire and motivate many that cross paths with him. Born and bred in Christchurch. Tim understands the area and community, more importantly he understands the people. Tim is best known for his passion on the sports field, knowing full well that what you put in is what you get out Tim will leave no stone unturned and represent you and your best interests. Tim was the third realtor that I interviewed to sell my late father’s house. My father was an architect and engineer, and had designed the house, which was the home in which I grew up. As I showed Tim the house I began to realize that there was something different about him. His questions and comments revealed considerable attention to detail and also knowledge of materials and construction. More importantly, he listened very closely to the story of my father and the house, and therefore could relate to what I was going through on a personal level, and also understand what I wanted for the property’s future. Choosing Tim was the best decision I could have made. His marketing strategy was excellent - he hired a home staging consultant who provided many useful recommendations, and a professional photographer who came up with beautiful pictures, and had all of us prepare for the open homes. The open home, through his marketing campaign, must have attracted a record attendance for the area, and generated multiple offers, all but one of which were above asking price. Needless to say, the entire experience and the final sale exceeded my expectations. Honest, Reliable and Committed An exciting career in sales, negotiation and customer service has armed Victoria with the skills to achieve the best outcome for her clients. Whether they are buying or selling property, Victoria’s professional approach combined with honesty, integrity and a strong moral compass ensures a premium service throughout the process. Victoria’s natural warmth, empathy and desire to put her client’s first quickly instils confidence and trust. Backed by the award-winning Harcourts Holmwood Team, Victoria will ensure your real estate journey is as stress free as possible and tailored to your individual needs. 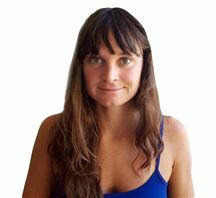 Victoria has a wealth of experience dealing with a diverse range of people and believes good communication is essential. “It is imperative to listen and understand my clients wants and needs so we can work together to achieve their goals and they can move happily onto the next chapter in their lives” Having bought, sold, developed and built properties in London, Wellington and Canterbury, Victoria has a strong understanding of all things property. Victoria appreciates the time and effort that is required to secure the best possible outcome for her clients and will leave no stone unturned to ensure this is reached. Victoria is not afraid of hard work – going the extra mile for her client is what she does best. “Unique by name, unique in my approach!” – Zani Polson No matter if you are a buyer or a seller, property today is a complex business. 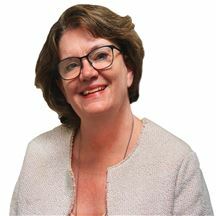 Trained as a Legal Secretary and having worked both here and abroad, Zani Polson combines both of these important skills of detailed organisation and effective communication. Indeed, Zani takes pride in making certain the client comes first and it is part of her mantra that service is about achieving exceptional results. Zani understands the power of digital marketing to promote property and bring together opportunities that may slip past an older generation. 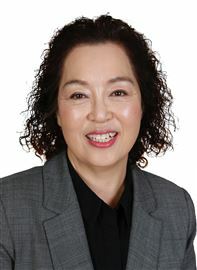 Her energy and commitment to real estate is exciting as it is productive. Perhaps it comes from her commitment to her clients that marks her out as a person who knows that while marketing is so critical, face to face conversations are what generate results. Zani has a rich experience of the needs of others and a genuine appreciation of factors that come into play when folk are making important decisions. Zani’s legal secretarial experience provides a deep appreciation of the complexities and pitfalls that can trip someone up in post-quake Christchurch. Of course, Zani Polson comes with an amazing team of managers, experienced agents and auctioneers at Ilam 2 to ensure that your property requirements are given the level of professional support all our clients expect. ‘Energy’, ‘enthusiasm’ and ‘excellence’ are three words many would use to describe Zani and for those seeking a consultant that will go the extra mile and deliver great results, it would be a great decision to give her a call. With a background in hospitality, administrative construction, and conveyancing, Brittany’s transition to Real Estate was a natural progression. Her innate ability to relate to people and her strong communication skills have proved to be an asset throughout her career and with her gregarious and warm personality she takes pride in developing and maintaining enduring relationships. As a mother and business owner Brittany understands the needs of families and those that simply require efficient transactions. Rest assured, Brittany will make your buying and selling journey a smooth and enjoyable one. Not only that, but Brittany knows how important it is to have a sense of humour in what can sometimes be a stressful ride. Extremely motivated. Extremely dedicated. Brittany is passionate about assisting you through your buying or selling experience. Get in touch with Brittany today! Candice has a strong understanding of real estate and has worked in different areas of the business building up a knowledge base that she can now share with new agents entering the industry. Playing the Long Game Some people impress from the very first meeting and Matt Kurtovich is one of those individuals. Confident without pushy, capable without bragging and always with a smile and a positive attitude. 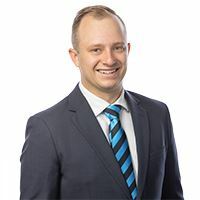 Experienced in working with people, Matt has those personal qualities that make him so well suited to the real estate profession. His capacity for hard work, his commitment to his clients and his ability to stop and listen to the needs, wishes and aspirations of those he works with marks him out as an exceptional person. Matt is the type of individual that plays the long game – he builds a meaningful understanding of his client’s needs by listening and talking through the issues and following up. Matt’s skills and commitment to ‘his people’ make him the ideal agent. Certainly, if as a homeowner or a homebuyer one was to hold a brief conversation with Matt about buying or selling, the result would be a desire to work further with this top-notch person. A Slice of Italy in Merivale! Take the Rent and be Content! Brand New, Perfect For You! Great Set-Up Here - Must See! Perfect Pair? Or Just The One? Stop Looking - Buy It! You will fall in love! 2018 Build by the Beach! Lake Views - Selling Now!! Huge House - Huge Value! Sun, Size & Superior Location. Owners Downsizing - Be Quick!! Step Inside and Stay Awhile! Outstanding Value in the Zone! Owners Purchased - Must Sell!! A Rare Offering! Be quick! Revel in the Sunny Space! Owner Needs to Sell Urgently! Hello To You, Buy From Me! North Island Owners Say Sell!! Family Life Just Got Sweeter! A Home to Fall in Love With! Look at Me - Look at Me! 'As Is, Where Is' On Frank St! Be In For The Holidays! Go On - Spoil Yourselves! The Moving Truck is Booked! Merivale Lane, As Is Where Is. Simply Put- This Must Be Sold! Room for Toys & More! Paparoa & Heaton School Zones.